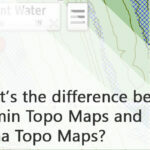 What’s the difference between Garmin Topo Maps and Hema Topo Maps? 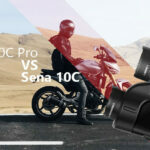 Garmin has released two new products specifically aimed at Australian audiences in an effort to put Hema Maps onto more Garmin devices. Previously Garmin released the RV-775, a tailored caravan GPS that had access to Hema’s raster maps and their Australian POI database. 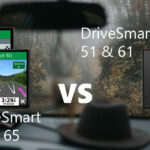 Now though they’re making it available across most of Garmin’s handheld GPS devices. Unfortunately, Garmin hasn't made it simple with 4 different Topo map options all made by Garmin all with various benefits. I’ll try to outline each type below and then explain the differences between the data cards. This is the card that has everything. It comes with Garmin’s Topographical map, Hema’s 72K Raster map and Hema’s POI database. On Hema’s side of benefits, you will have access to Hema’s full raster map which gives you the advantage of more than 105,000 km of tracks, roads and trails. 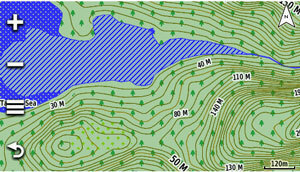 You will also get 4WD destinations and hydrographic features (lakes/rivers, shorelines and perennial and seasonal streams. It will also include built-in DEM data with 3D shading and route elevation profiles to estimate terrain difficulty. On Garmin’s side of things, you gain terrain contours (10m contours) summit elevation heights alongside Garmin’s own POI database and terrain identifiers. You can see on the compatible tab on this page which devices this map card is compatible with. 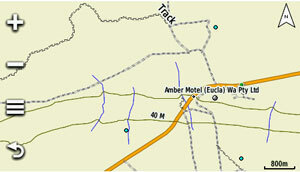 This map is ideal for every driving, camping, hiking, general outdoor recreation, offroad 4WD to name a few. This card comes with Hema’s 72K Raster map and can be loaded onto Garmin’s Handheld GPS units and some of their Bike GPS devices. You can see the full compatible list on the “Compatible With” tab on this page. This comes with just the Hema side of things that I mentioned in the previous map card options. 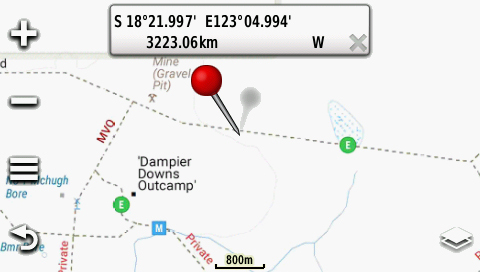 It’s best suited for Offroad topographical information and activities like Hiking, Camping, Geocaching and 4WDing. National, State and local parks and forests. This is the standard Garmin Topo maps card with 10m contours. 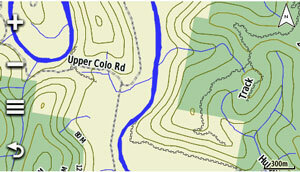 It displays enhanced topographic details and terrain identifiers. These maps cover Australia, New Zealand, Lord Howe Island, Three Kings Islands, Snares Islands, Auckland Islands, Stewart Island, Campbell Island, Kermadec Islands, Chatham Islands, Bounty Islands and Antipodes Island. This is ideal for a range of outdoor uses including hiking, driving, trail running, and offroad 4WD. 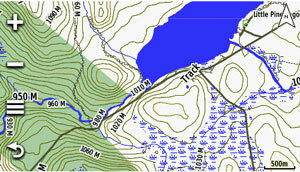 These maps are basic topo maps with 40m contours and non-routable road content. The biggest difference on these maps compared to the Full Topo maps is that they are non-routable, have 40m contours as opposed to 10m and do not let users search by addresses. This map is perfect if you need basic topographical information without the need for turn-by-turn navigation.